Can you believe that this show is 20 episodes in already? It was definitely time to re-visit how the premise came to be (Charlie's ex-wife, Kim, got wrapped up in caring for her mother and couldn't watch the kids full-time), and why it will continue (Kim is moving to Africa). The kids sure seem to have adjusted remarkably well to not having their mother in their lives, after primarily living with her after the divorce. In fact, not one of the three seems to have much emotional attachment (which could be a sign of the times) to her, so it would be easy to write off the idea of the kids ever having to reunite with her again, except maybe a trip or two down the line. But, now that the status quo for the show has been settled, I'm a bit less inclined to keep tuning in - there could have been a lot of drama surrounding the Stephanie-Kim power struggle, but it doesn't look that way now. 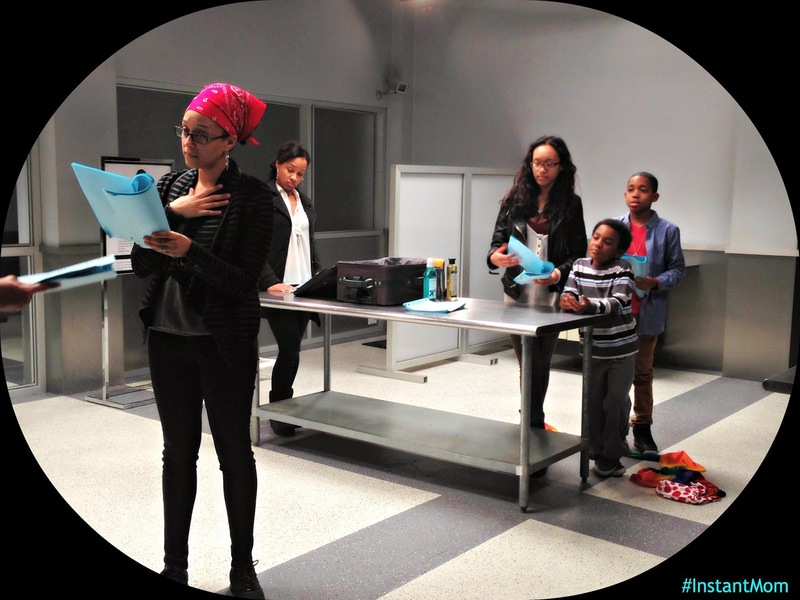 Instant Mom "Distant Mom" (S01E20): Kim took the kids on a two-week vacation to Mozambique, where she is offered a year-long position. [I would have liked to hear more about what the kids did during their time there!] She plans to move in two weeks and take the kids with her, though none want to go. [calling up the new job in Mozambique to pretend to quit made no sense!] Charlie and Stephanie were looking forward to becoming weekend parents once more, but the thought of not having the kids for an extended period distresses them greatly. [yeah!] Charlie starts recording all the little things that the kids do, and Stephanie throws herself into a new job so she won't get bored. But, the videos just make Charlie miss the kids before they've left, and when Stephanie alienates the local Philadelphia clowns, she has to dress as one herself for a party, forcing her to miss the kids' send-off. This leads to Stephanie running through the airport to catch the kids, getting thrown into a security hold... where the kids are also, because they stuffed their mother's bag with large knives. [holy cow!] The truth comes out, and Kim feels bad asking Stephanie to take the kids for another year, but everyone would prefer that scenario, so it's the new plan.